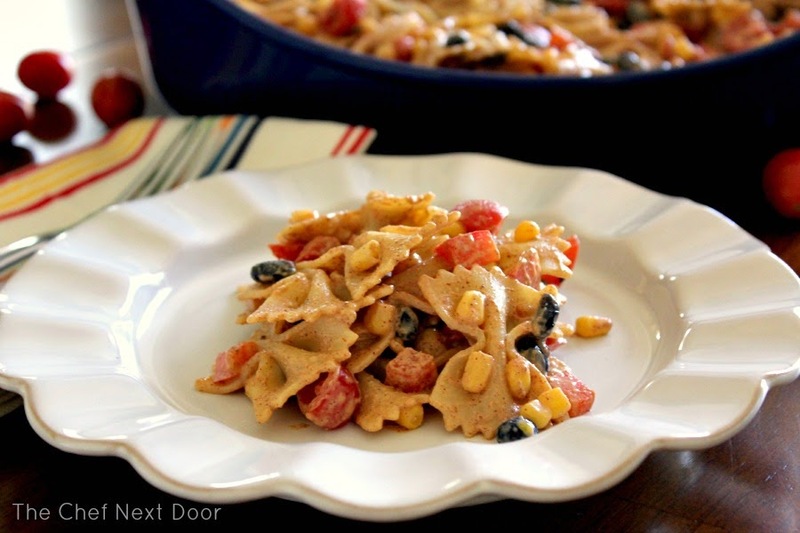 A cool and creamy pasta salad with a southwestern kick! This post is sponsored by the United Dairy Industry of Michigan. All opinions are my own. The beginning of June not only signals the start of summer, but it also kicks off BBQ and picnic season! If your family is anything like mine, many weekends will be spent on the grill flipping some burgers or dogs, or maybe even at the beach or the park with a picnic basket in tow. We all have our favorite dishes to whip up for these occasions, but it's nice to have a few new recipes as well. That's where my Creamy Southwest Pasta Salad comes in. 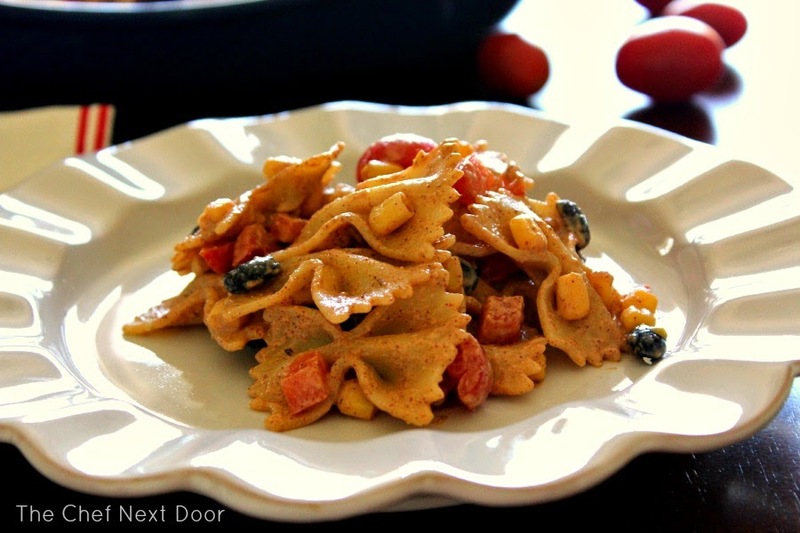 My kids love pasta salad, but I always made it the traditional way, Italian style. I decided to switch things up on them with this version, made with a yogurt dressing instead of oil, and filled with lots of great veggies and protein. June is also National Dairy Month, so it was a perfect time for me to develop a new dairy recipe! I made the dressing with plain Greek yogurt, which makes it tangy, extra creamy and just downright good. Cook the pasta as directed on the package. While the pasta is cooking, prepare the dressing. Place all of the dressing ingredients in a medium bowl and whisk vigorously until well combined; set aside. When the pasta is done cooking, drain and rinse under cold water. Add the drained pasta to a large bowl, then add in the corn, black beans, tomatoes and red pepper. Gently combine everything. Pour the dressing over the salad and toss well. Taste and add additional salt and pepper, if needed. Chill the pasta salad for at least one hour before serving. A big thanks to the United Dairy Industry of Michigan for sponsoring this post! I was compensated for developing a recipe using Michigan dairy products, however, all opinions are my own. UDIM is the umbrella organization for the American Dairy Association and Dairy Council of Michigan. Their goal is to promote Michigan’s locally produced dairy products and reconnect consumers with the people behind their food.